Trumbull, CT, March 8, 2018 — IoT Evolution World and IoT Evolution Magazine, leading print and online voices of the high-growth Internet of Things marketplace, announced today the recipients of their 2017 IoT Evolution Asset Tracking Awards. 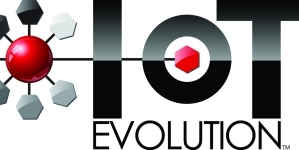 The winners of the 2017 IoT Evolution Asset Tracking Award will be published in the third quarter edition of IoT Evolution magazine and on www.IoTevolutionworld.com. TMC is a global, integrated media company that supports clients' goals by building communities in print, online, and face to face. TMC publishes multiple magazines including Cloud Computing, IoT Evolution, Customer, and Internet Telephony. IoTevolutionworld is the leading source of news and articles for the communications and technology industries. TMC produces a variety of trade events, including ITEXPO, the world's leading business technology event, as well as industry events: Asterisk World; AstriCon; ChannelVision (CVx) Expo; DevCon5 - HTML5 & Mobile App Developer Conference; IoT Evolution Conference & Expo; Real Time on the Web Conference and more. Visit TMC Events for additional information.